Sandra Foweraker has practiced general litigation with a focus on commercial litigation for over 20 years. She was a partner at Hordo & Bennett before joining Bob Cooper Q.C. at Cooper Litigation in 2014. Sandra has experience in a broad variety of commercial disputes including partnership and shareholder disputes, as well as professional negligence, administrative law, professional regulation and governance, and employment law. She also has advised clients in product liability and serious personal injury cases. Sandra has appeared before all levels of court in British Columbia and acts as counsel in domestic and international arbitrations. Much of her work is with clients who want to achieve confidential solutions. Clients value her attention to detail and her ability to organize and manage complex cases. 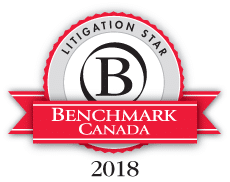 Sandra’s academic and other distinctions include law clerk at the Supreme Court of Canada to Mr. Justice McIntyre and then to Madam Justice McLachlin. Sandra was a Law Foundation Scholar for three years at the University of Victoria law school and was awarded a prestigious Commonwealth Scholarship to study at Cambridge University, where she received a Master’s degree in International Law with first class honours. Outside of the practice of law, Sandra is an accomplished athlete. She has competed in the Ironman World Championship in Hawaii several times, and has completed numerous marathons and multi-day cycling stage races in North America and Europe. Representation of six community centers to obtain an injunction to prevent termination of their operating agreements with The Vancouver Park Board. Acted for Vancouver technology company in two international arbitration proceedings commenced by foreign service provider. Successfully raised jurisdictional defence resulting in dismissal of claims. Acted for partner in commercial arbitration for division of domestic and international partnership business and real estate assets. Acted for Vancouver and International companies in commercial arbitration commenced by foreign joint venture partner over provision of services, licensing of technology, and division of revenues. Ken McEwan Q.C. and Sandra Foweraker successful in part in overturning court order winding up a strata corporation.